On Thursday, May 18, a plaque that signifies the 100th anniversary of the 1916 Easter Rising joined 193 other commemorative stones upon the interior walls of the Washington Monument, a 550-foot tall symbol of George Washington’s hopes for the American nation. 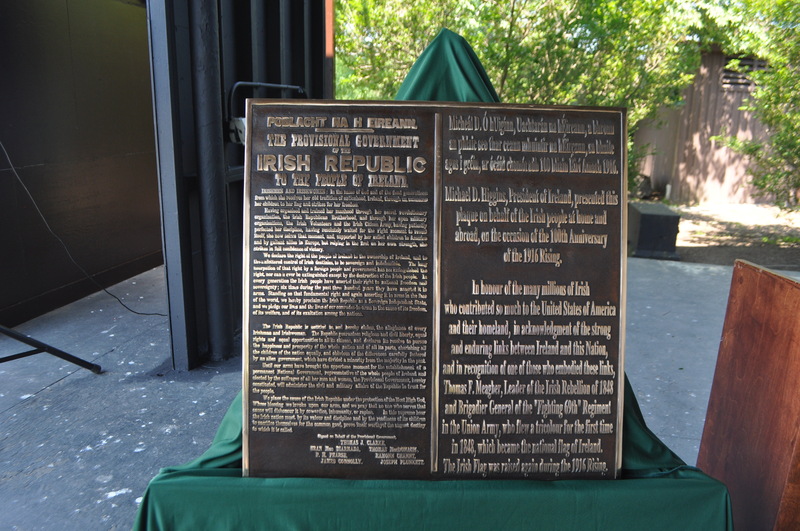 Presented by Minister for the Office of Public Works and Flood Relief Seán Canney, on behalf of president Michael D. Higgins, it is the the first new plaque to be adhered to the monument since 1982. 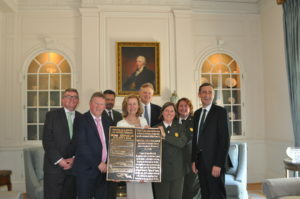 The plaque particularly honors Co. Waterford native Thomas Francis Meagher, a figure of the Irish fight for independence who, after being sentenced to execution for his involvement in the 1848 Young Irelander rebellion, was instead deported to Tasmania. 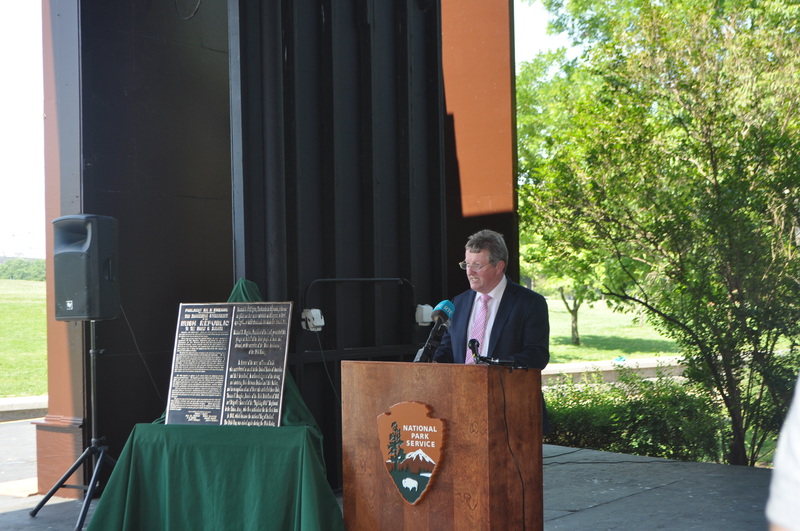 He escaped to New York, where he had a hand in establishing the Irish News newspaper, and, when the time came, battled in the American Civil War of the 1860s on the side of the Union. He later became governor of the state of Montana. 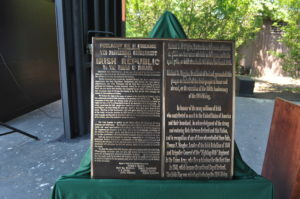 At the time of its completion in 1885, the obelisk was the tallest manmade structure in the world, and the memorial stones that adorn it have been contributed by states, cities, foreign countries, societies, and individuals. Varying in size from roughly 1.5 feet (Carthage, Texas) to 6 x 8 feet (Philadelphia and New York City), these plaques were intended to honor George Washington’s memory, though their inscriptions often derailed – for example, the plaque donated by the Templars of Honor and Temperance read, “We will not make, buy, sell, or use as a beverage, any spirituous or malt liquors, Wine, Cider, or any other Alcoholic Liquor.” Washington himself owned a whiskey distillery in Mount Vernon.